It features 24mm diameter. A really clever part of this tank is the fact you can use coil heads from different manufacturers and they can be either Direct To Lung (DTL – Sub Ohm) style coils or Mouth To Lung (MTL) style coils. It is compatible with Smok Baby Beast Coils, Vaporesso GT Coils and Nautilus V2 Coil. The airflow system has two adjustable options: Dual Cyclops Airflow With An Additional, Adjustable MTL Option. So for MTL coils the kit includes an adaptor so you can use Aspire Nautilus coils – these are very popular for MTL vapers. The Hellbeast Hybrid tank comes with push-to-open top filling design which makes refill easier. 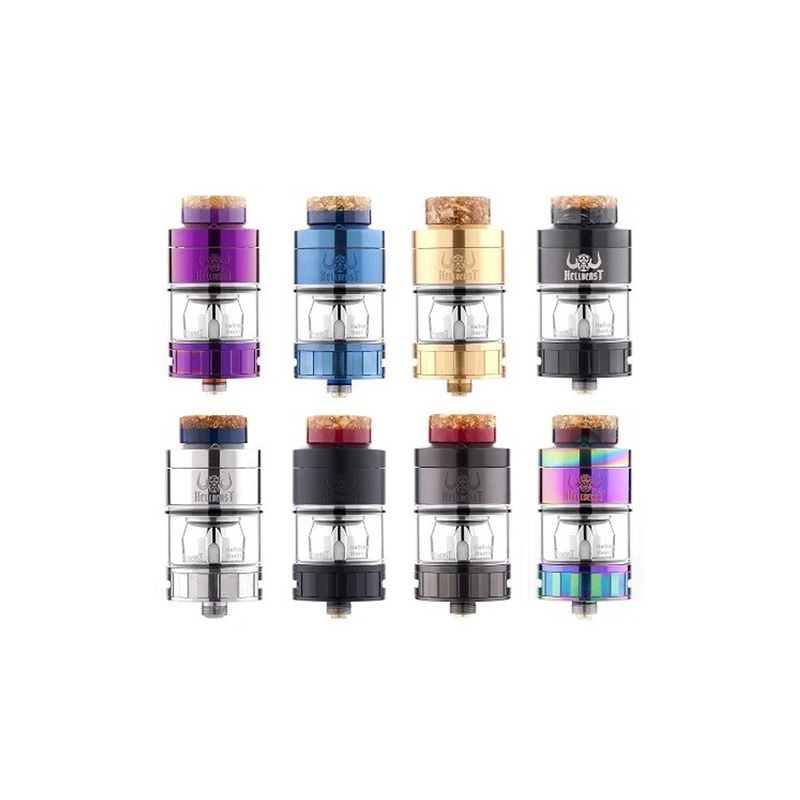 On the base of the tank is the adjustable airflow – there is a large slot inlet for DTL vaping plus if you rotate the airflow ring there are small holes you can adjust for MTL or restricted DTL vaping.